Where do jellyfish lay their eggs? 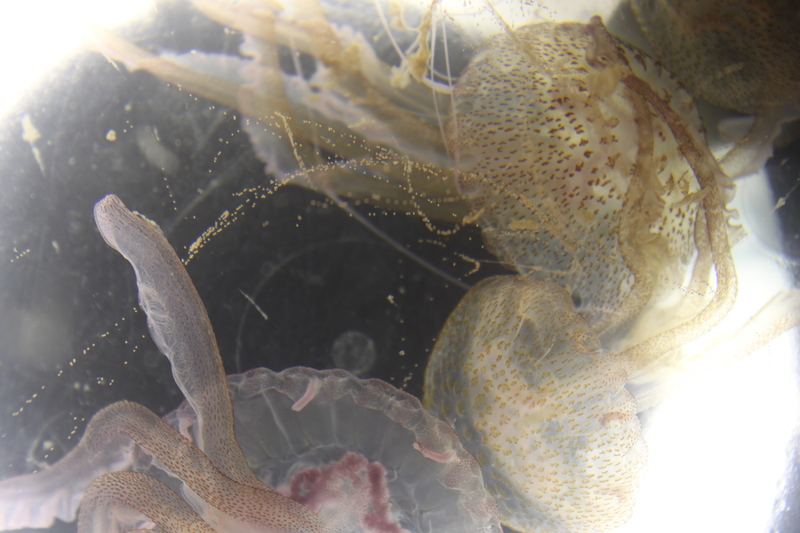 Pelagia noctiluca with long strings of eggs. Image courtesy of Dr. Martina Ferraris of Observatoire Océanologique de Villefranche sur Mer.